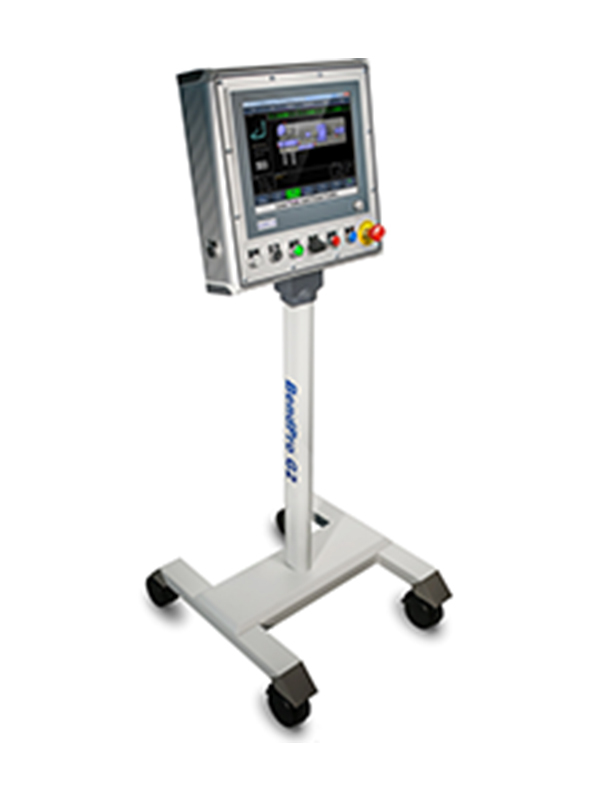 The BendPro G2 CNC Control is housed in a compact aluminum enclosure. The control is networked (Ethernet) to a compact I/O system which consumes very little space in the benders electrical cabinet. The BendPro G2 CNC Control is currently being used by end users, OEM machine builders and re-builders on a wide variety of machines, world wide. The list of supported functions continuously grows. The BendPro G2 CNC Control has the most advanced and useful options for programming avoidance moves of any control on the market. The Teach Mode is the most commonly used option because it is extremely intuitive and versatile. With Teach Mode, the operator uses the Joy Stick to jog each axis to the target position. Each move or combination of moves is recorded, this allows the control to play the moves back in exactly the desired sequence. Teach Mode is used for programming Avoidance Moves and for optimizing bending sequences to increase production. Teach Mode works in CNC mode (Live on the bender) or in SIM mode (3D simulation mode). 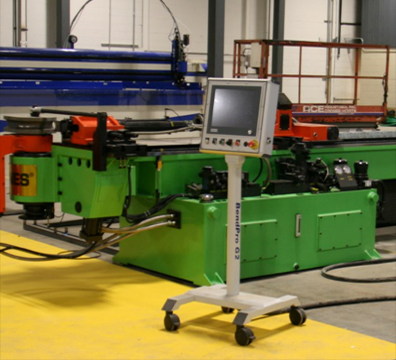 MAXIMIZE YIELDS OF A NC BENDER OR CNC BENDER WITH A BENDPRO G2 CNC CONTROL. Simulation allows for fast and easy development of the bending sequence to avoid tube to machine collisions. 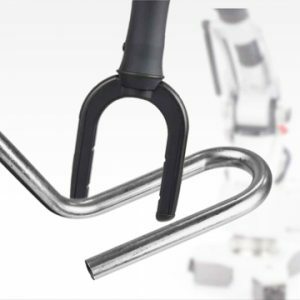 With this powerful feature, the most efficient (Fastest) bend cycles can be created. 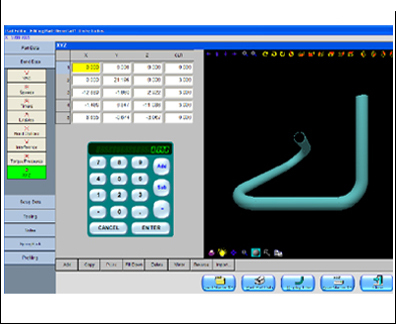 Based on the Windows XP operating system, the BendPro G2 CNC Control software was written with ease of use in mind. A graphical representation of the bender and it’s functions are displayed on a high resolution, bright LCD. The first screen displayed is called the Master Menu. From the Master Menu, the operator can operate the bender and access all other control screens. 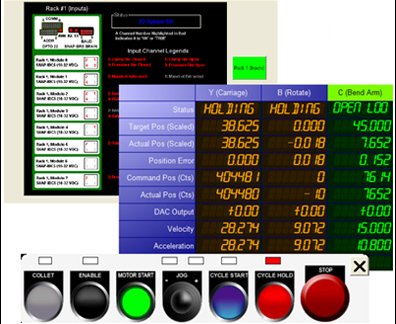 The BendPro G2 CNC Control has extensive diagnostics tools that can be used for real time trouble shooting of all machine devices including I/O Racks, operator switches, and servo devices. The BendPro G2 CNC Control can automatically backup all part files and machine parameters to a local or network drive. 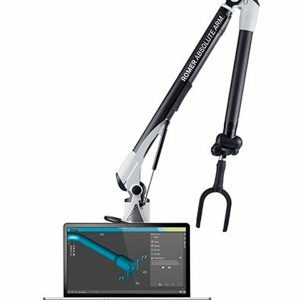 Part files can be imported from other controls, office PCs, and measuring machines.